Andreas Spechtl is a Berlin-based producer & composer. He is also the head of the Austrian independent rock band Ja, Panik. He released his solo debut album Sleep in 2016. The music which he has created under the project name “Sleep” is dedicated to the infinite love of sleep. The result is a dreamed-up sound matrix of pop and folk, of field recordings and multi-facetted polyrhythms of the biosphere. Over the years Andreas Spechtl has captured the sounds of his respective environment in different places all over the world – city and country, inside and outside, brownfields and nature flash – and subsequently edited those sounds using a tape machine or computer software. 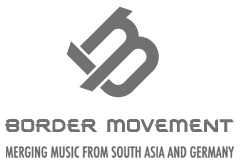 He was also chosen as a participant for BMR: South Asia in 2016.